Everything is backwards! The Iron Fist TV show came out last week, but the new Iron Fist comic comes out this week. The Power Rangers movie comes out this week, but the new Power Rangers comic came out last week! You’d think people would figure out better synergy. Light week of reviews this week for reasons that will ever perplex me. Why do all my favorite comics come out in the same week? Still, we’ve got some greats, including Hulk, Detective Comics and the final issue of Prowler! 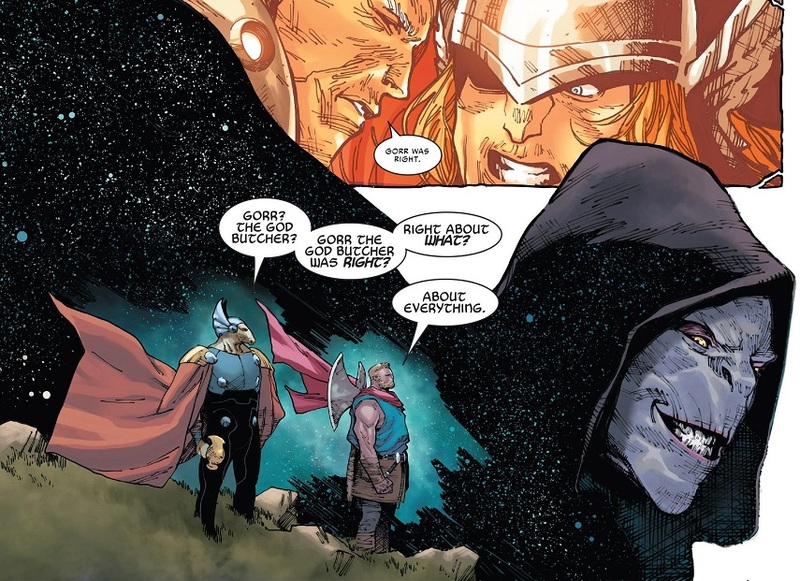 Comic Book of the Week goes to the final issue of Unworthy Thor because writer Jason Aaron is able to dig even deeper into a character he has so thoroughly mastered. He’s got that crazy look in his eyes! As for the stuff I mentioned earlier, I enjoyed the Iron Fist TV show, despite its obvious flaws. And loved the Power Rangers movie! It was great! Go see it this weekend! 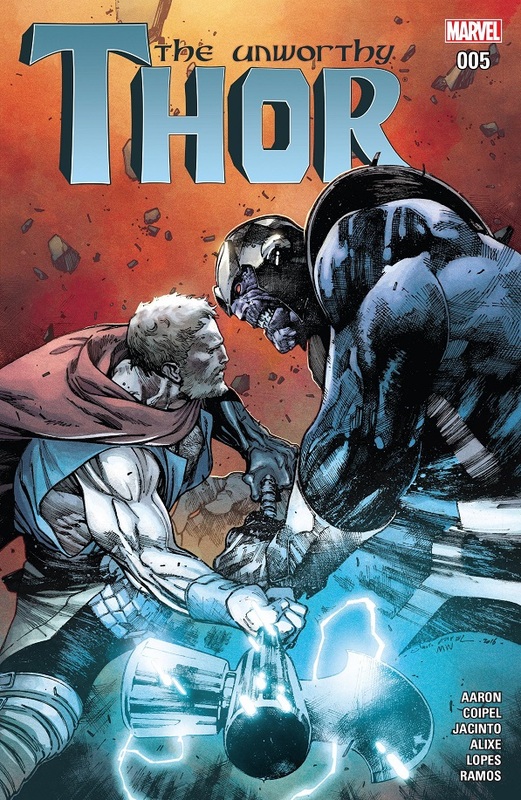 Comic Reviews: Detective Comics #953, Hulk #4, Iron Fist #1, Prowler #6 and Unworthy Thor #5. This is a filler issue of the awesome League of Shadows storyline. Tynion moves pieces around and puts other pieces into play without any big story shakeups. Still really good. After Batman gets Commissioner Gordon up to speed on what’s happening, the League of Shadows starts striking directly at Batman’s allies. 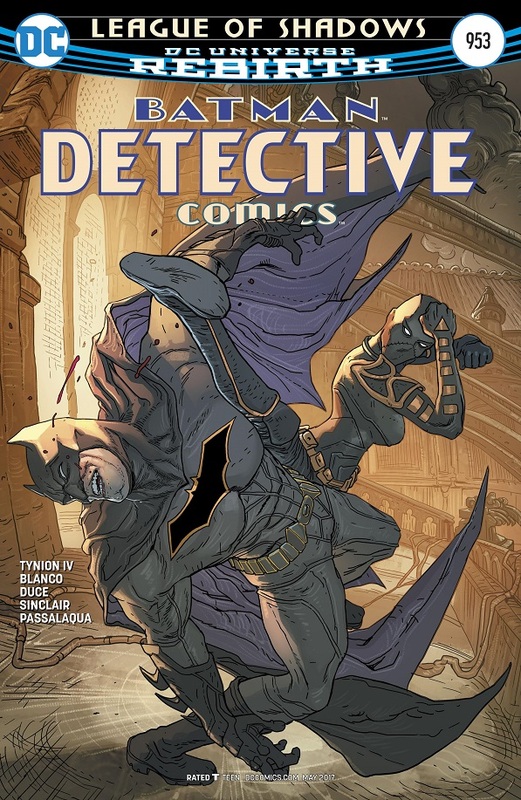 Clayface is destroyed at the Belfry and Batwoman is stabbed with a sword right in front of her father. Orphan goes out to confront her mother and has to fight through Batman to reach the woman. Shiva fights Orphan in the middle of downtown, but Cassandra won’t fight back because she still has hopes and dreams about a caring mother. The cruel Shiva defeats her with ease. Batman returns to the Batcave after Alfred calls him to warn about an attack. But Batman doesn’t find Alfred, he instead finds R’as al Ghul! Comic Rating: 7/10 – Good. This was another fine issue of the League of Shadows story, but like I said above, it seemed like more of a filler issue. We basically checked in with a bunch of main characters and moved them around the board, like Gordon, Clayface and even Cassandra Cain. The drama with her mother is pretty good stuff, but their fight in this issue was kind of a repeat of their fight last issue. We don’t learn anything new about any connection Shiva may have had with her daughter, nor do we learn anything new about Shiva in general, or the League of Shadows. They’re still just super evil, super skilled ninjas who take down everybody with a moment’s hesitation. That’s fine, but I’d like new issues to have a bit more meat on the bone. TL;DR: Another exciting installment of the League of Shadows storyline, but it does not move the story forward as much as I would like. Oddly, I’ve never been a particular fan of She-Hulk. She’s not one of my favorite characters. 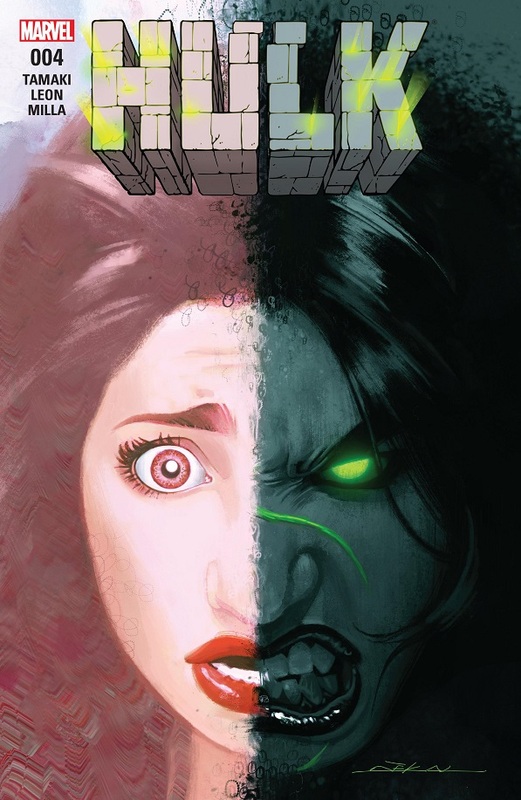 But dang if I haven’t loved nearly every She-Hulk series that’s come out the past few years. After all the troubles lately, Jennifer goes to visit her client, Maise Brewn, in person. Jen takes a rather spooky trip through Maise’s crazy apartment building, eventually finding the shut-in at her apartment. 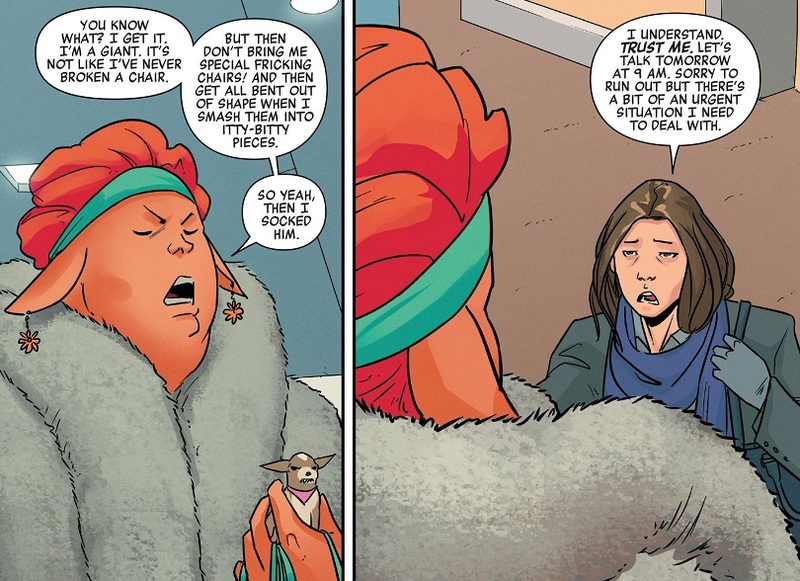 But when Jen tells Maise that the building has been sold and there’s not much she can do to keep Maise in her home, the client goes dark and summons her hoarder trash monster protector! Also, the rest of the police force discover the bodies of the dead detectives outside Maise’s building. Comic Rating: 8/10 – Very Good. This is an issue raised to greatness by the quality and consistency of the inner character work. The issue is almost entirely about Jen’s inner monologue as she goes about her day and delves into the spooky apartment building, and it works. Tamaki has created such a strong character in this new Jen, and the journey itself is so entertaining, that I really enjoyed this issue even though it’s just Jen walking through a building. Tamaki and Leon have created a really solid atmosphere for the series. This is just good modern comic books. We all love a good superhero/villain slugfest, but creating a believable character going through believable problems can be even more exciting to read. I am glued to Jennifer Walters’ struggles with Hulk-related PTSD. That’s such a cool angle. And Tamaki is doing a fantastic job of building up Jen’s life, so that when the Hulk comes out, it’s going to be even more powerful and important. That’s just good storytelling and good fiction. TL;DR: A seemingly quiet issue of Hulk still carries a lot of character weight and energy. 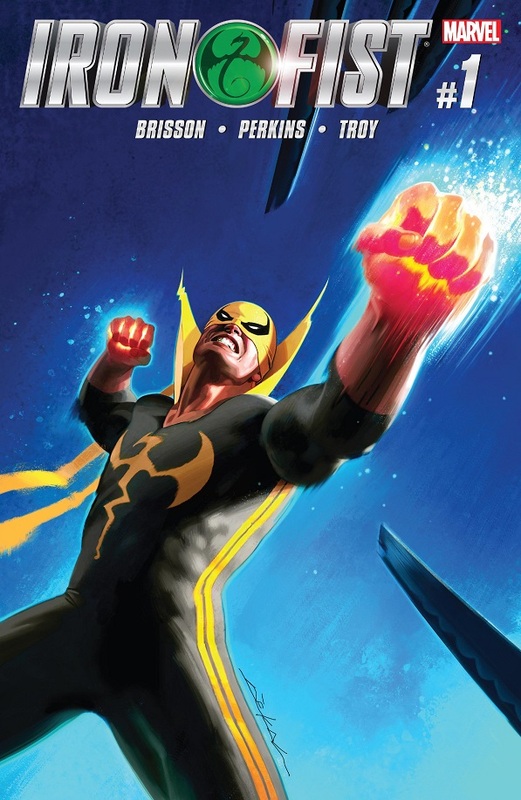 As much as I love the Power Man and Iron Fist comic, I can’t deny that it’s a perfectly good idea for Marvel to launch new solo series for the main characters, considering their importance to Netflix. I just wish the fun and energy of Power Man and Iron Fist carried over. K’un-Lun has been destroyed and Danny Rand has been cut off from the Iron Fist. He’s spent the time since traveling around the world finding fighting tournaments to compete in, desperate for a challenge and trying to reconnect with his chi. Finally, at a bar in Cambodia, Danny is approached by a man named Choshin who knows a lot about him and is an impressive fighter. After a little skirmish, during which Choshin gets a measure of Danny, he invites our hero to a super awesome martial arts tournament in the mysterious city of Liu-Shi. 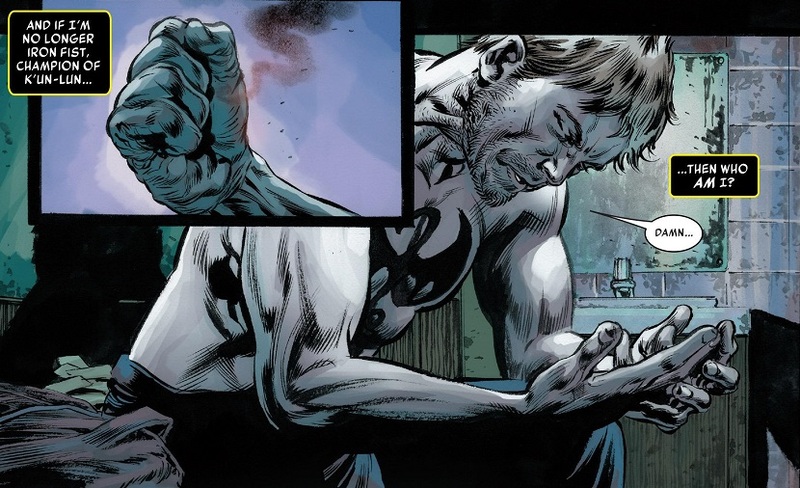 This is a fine start to a new Iron Fist comic, though it lacks any special pizazz or hook. The stuff about K’un-Lun being destroyed and Danny losing his powers all happened in an earlier comic, so I’m glad I read the little blurb at the top of the title page. It’s a fine enough twist, but having the superhero be without his powers isn’t exactly groundbreaking stuff. And since he lost his powers, the friendly, funny Danny Rand is gone, replaced by a bitter drunk. Still, the issue gives plenty of weight to Danny being a supremely skilled fighter, and it has some fun with badass kung fu moves, so that’s always a plus (and something the TV show lacked). Like I said, it’s a fine start; you can’t go too wrong with sending Danny on a new, martial arts-based adventure. The art is gritty realism, which I’m fine with. It should serve the series nicely, though it could stand to be a bit more stylish with the martial arts so that the moves look as sharp and as powerful as they’re meant to be. TL;DR: The new Iron Fist comic has a nice kick-off to a potentially fun story about mystical kung fu, but it leans slightly too much into gritty realism. Prowler has been cancelled. This is the final issue. I’m pretty sure it was announced as an ongoing series and not a mini-series. I’m not surprised by the cancellation. While mildly enjoyable, this comic was a terrible tie-in to The Clone Conspiracy and, in the end, a waste of paper. Hey Marvel, maybe next time you plan to launch a new comic about one of your obscure superheroes, don’t kill them before it starts and expect anybody to care about their clone! The art was pretty great, though. So if Prowler was just a showcase of Jamal Campbell’s art, it succeeded. Get him on more comics, Marvel! In the end, Hobie still has no idea what he’s going to do next. Comic Rating: 5/10 – Alright. I suppose this issue works OK as an epilogue. It leaves Prowler in a worse place than he was before all this began. At least back then he was a supporting character in Amazing Spider-Man! Now he’s probably nothing. The conversation between Hobie and Peter accomplishes a whole heck of a lotta nothing. It doesn’t add anything to either character or explore their friendship any deeper. It’s just an excuse to showcase the neat ‘what-if’ scenario scenes, which are all pretty fun, in their own little ways. These scenes were definitely a good way to show off Jamal Campbell. I’m sad to see this series come to an end so soon. I am a big Prowler fan, and an ongoing comic is exactly what I want from my favorite characters. 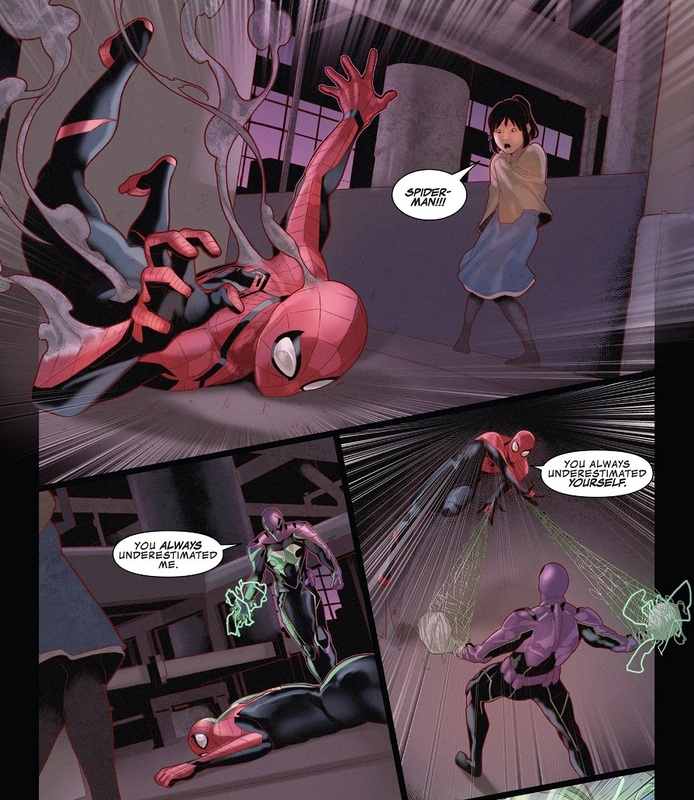 But this thing sucked as a tie-in to the Clone Conspiracy and it sucked as a Prowler comic, because it wasn’t even about Prowler! That’s frustrating. 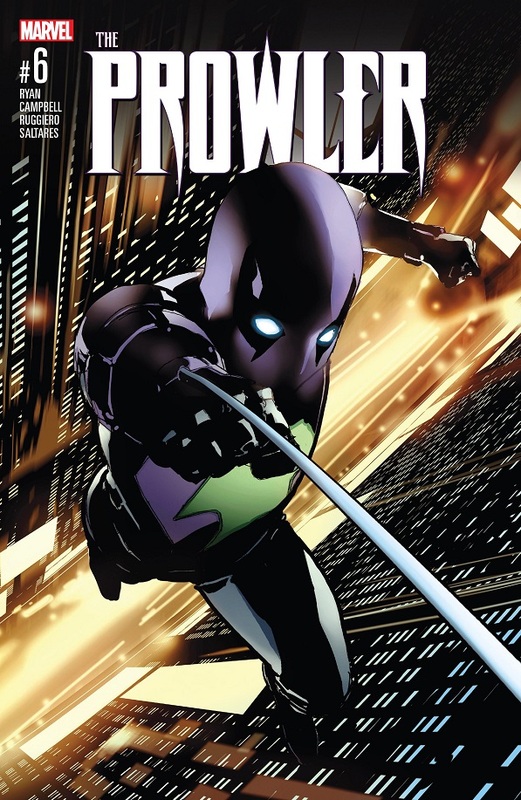 Because now Prowler will probably never get a real ongoing series. And that makes me a sad panda. TL;DR: The Prowler comic comes to an end with a final issue that serves more to showcase the solid artwork than to really do anything worthwhile with the character. So the finale is pretty much like the series itself. I’m both excited and annoyed with the ending to this excellent mini-series. On the one hand, Aaron invokes some deep philosophy into the entire Thor franchise, and I love it. On the other hand, Marvel is just going to re-do the ‘Who is the new Thor?’ mystery from only a year or so ago. That seems like a dumb move. Also, this is the issue where we find out what Nick Fury said to Thor to make him ‘unworthy’ in the first place. I am very pleased with the reveal. Gorr the Godbutcher argued that ‘gods’ are not all that great (to paraphrase). Odinson says he now agrees with Gorr, that gods are not all they’re cracked up to be (to paraphrase) and that no god is worthy to lift Ultimate Mjolnir. So instead, they should just crack open the mead and live whatever life they can. Several days later, a mysterious being claims Ultimate Mjolnir to become the War Thor! I was a little disappointed at how quickly the story wraps up with this issue. This has been an epic series, but in only a handful of pages, Odinson turns down the new hammer and defeats all the bad guys. But I’m not going to complain too much about that considering I enjoyed the talk between Odinson and Bill. Like I said above, I am quite pleased with the reveal of Nick Fury’s whisper. Not sure how Nick Fury knew anything about Gorr the Godbutcher (my memory of that entire event is a little faulty at this point anyway), but I love the implication. Gorr challenged Thor with the idea that gods are not as great as anyone claims, and clearly that self doubt ‘infected’ the God of Thunder. 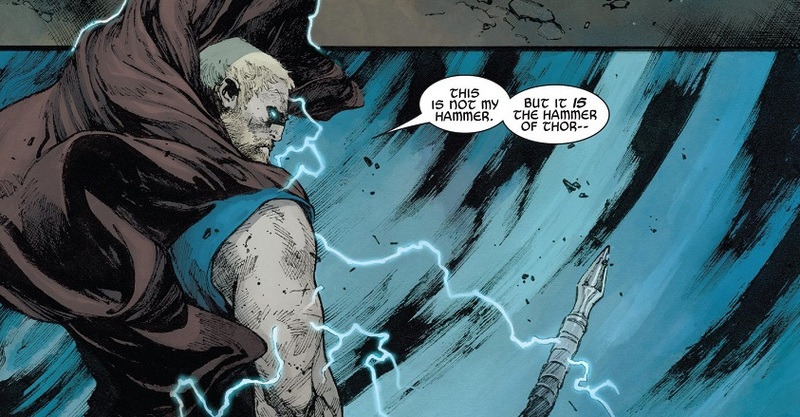 So when an outside force affirmed that self-doubt, Thor believed himself to be unworthy of Mjolnir. I think that’s a pretty great twist/story to explore with Thor. I am less pleased with the idea that Marvel is going to keep the identity of War Thor a mystery. We just went through this with Jane Foster and I have ZERO interest in a rehash. I have plenty of faith in Aaron to make this new War Thor an awesome addition to his saga, but man, lay off the stupid identity mystery. Also, keep Beta Ray Bill around. Do those two things for me, if you please. TL;DR: Unworthy Thor wraps up with only a bit of action, but more than enough philosophical pondering to fuel Thor comics for years! Loved this mini-series. The comics I review in my Hench-Sized reviews are just the usual comics I pick up from my local shop any given week, along with a few impulse buys I might try on a whim. So if there are any comics or series you’d like me to review each week, let me know in the comments! Posted on March 25, 2017, in Batman, Comics, DC, Marvel, Reviews and tagged Beta Ray Bill, Cassandra Cain, Danny Rand, Detective Comics, Hulk, Iron Fist, Prowler, She-Hulk, Thor, Unworthy Thor. Bookmark the permalink. 1 Comment. Hulk was really good. The entire section of Jen in Maise’s building was comedic gold. So hilarious. And then there’s feels, and then there’s creepy. Leon and Milla are killing it on the art. Iron Fist is an Iron Fist comic. Actually, from what I gather, it’s going to be a Mortal Kombat comic. But meh, it’s fine. Whatever. Prowler sure was a Marvel comic in the year 2017. Unworthy Thor was fine. It’s a bit silly that Aaron took so long to reveal that Fury said exactly what everyone always guessed he’d said. Aaron really enjoys his utterly pointless mysteries, entirely too much. Also, a Thor issue without his abs will always feel like a waste.